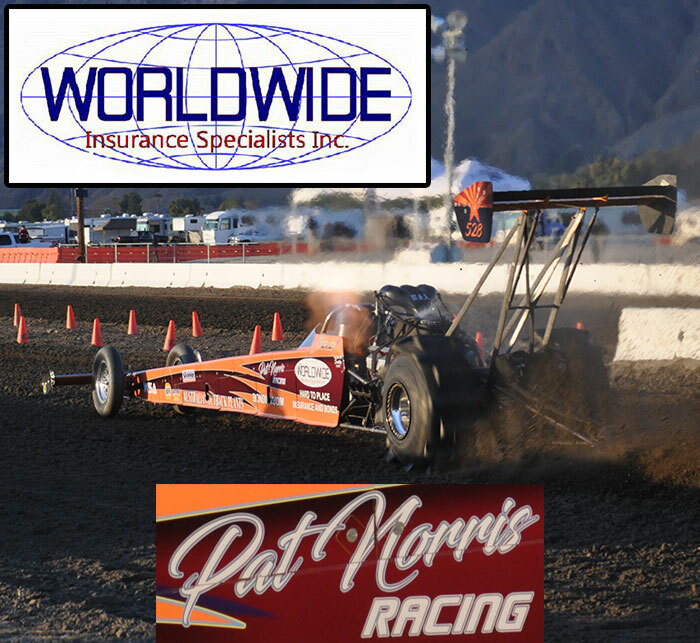 The SCSDA Hammer Down Nationals wrapped up Day 2 of action at the Soboba Casino in San Jacinto, CA with some incredible 300’ sand drag racing action during the “Saturday Night of Thunder” show. Dennis Rieck and the Hammer Down Top Fuel team was the star of the show as they were able to reset their TF World Record recording a 2.202 ET backed up by a 2.210. Congrats to the Hammer Down team on that incredible feat. In the Top Alcohol class, Gary Mink once again set the bar for the competition recording a 2.45 ET to lead the pack into race day. Another team that put on an unreal show during Night of Thunder was Jimmy Depasse & the Otis Express team. Jimmy recorded a 2.668 ET to not only record the top spot in Pro Mod Unlimited qualifying, but it also reset his A/Pro Jeep World Record in the process backed up by a later 2.68 run. Marc Whitmore ended up as “Mr. Perfect” recording a perfect 2.950 ET in the Top Eliminator 2.95 Index class to earn the top spot in qualifying. Robert Skidmore held off the contenders in the Fast Fours class for the #1 qualifying position on the strength of Friday’s strong 2.71 pass. Charlie Johnson led the bracket class winners as he earned a big win in the Pro Car Gambler topping a 27-entry strong field to take the big bucks home. Other winners on the day included Jared Azevedo (Motorcycle Gambler), Chris Calafiore (Sportsman 1), Tom Crail (Sportsman 2), Ron Garnas (Motorcycle Sportsman 1), and Marcus Riedel (Motorcycle Sportsman 2). Action wraps on Sunday with eliminations in all categories at the SCSDA Hammer Down Nationals. The SCSDA Hammer Down Nationals at the Soboba Casino in San Jacinto, CA got off to a great start on Friday with a huge turnout of racers on hand to get dialed in for this weekend’s action. Marcus Norris stole the show in Top Fuel by recording a 2.31 at a booming 166MPH lap to top the field after Day 1. Jim Hammond kept up where he left off from May as he earned the top qualifying spot with a 2.56 ET. Robert Skidmore also stayed atop the pack in his category, Fast Fours with a strong 2.71 lap. Derek Balcunas led the pack in Pro Mod Unlimited with a stellar 2.75 at over 134MPH to earn the #1 qualifying position. First time Top Eliminator class racer David Straub stunned everyone by taking the top spot with a great 2.971 on the 2.95 class index. In Gambler action tonight, Mike Record earned the Pro Car Gambler class victory while the Motorcycle Gambler was won by Craig Wright. Racing continues on Saturday with the “Saturday Night Thunder” Heads-Up qualifying sessions as well as Pro Gambler & Sportsman class eliminations.